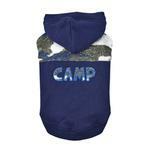 The Camp Hooded Dog Shirt By Puppia in navy is perfect for camping or any other event or adventure! 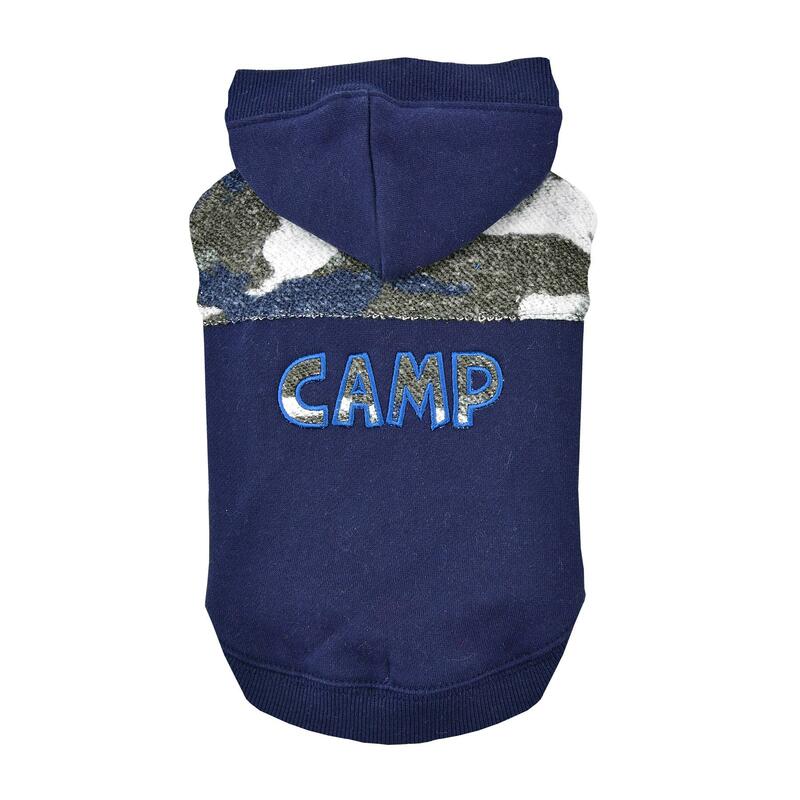 This hooded dog shirt is sure to keep your adventurous pup warm and happy. 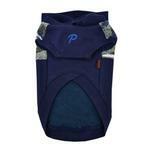 Material is 70% cotton and 30% polyester. PUPPIA SMART TAG pendant(QR Code only) is included to keep your pet in the social stream and safe. Also available in grey, sold separately. S - Neck Girth 10.2" Breast Girth 12.2" Body Length 7.9"
M - Neck Girth 11.8" Breast Girth 14.6" Body Length 9.8"
L - Neck Girth 13.4" Breast Girth 17.0" Body Length 11.8"
XL - Neck Girth 15.0" Breast Girth 19.3" Body Length 13.8"